Highcroft Luxury Boarding Kennels and Cattery were established in 1986 with the objective of providing the very best in accommodation and care for cats and dogs. Careful consideration and attention to detail went into the design to ensure clean, safe and comfortable accommodation. 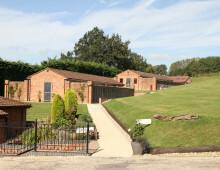 The result was two purpose built kennel blocks and a cattery that have been constructed to the very highest standards. Having high standards of accommodation is not enough to guarantee a successful boarding establishment. We have strict routines implemented to ensure the very highest levels of hygiene are maintained at all times. And yet still this is not enough. 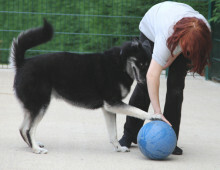 At Highcroft we know that every animal in our care needs individual attention to ensure a happy stay. Therefore we employ staff who are first and foremost animal lovers, and who have chosen animal care and welfare as their career. Before your pet’s initial board, we will work with you to understand their personality, their likes and dislikes, ensuring that they are relaxed and comfortable from their very first day with us. Whilst boarded we will work to build a relationship with your pet, to ensure that both trust in us and a positive association with their environment are quickly formed. We spend time with each pet in our care and perform a daily health check, keeping extensive notes which assist to build our team’s knowledge of each guest also enabling us to provide comprehensive feedback to you upon their collection. We are very proud of our facilities and that is why we invite you to view them at any time during our opening hours. We do not believe in having set viewing times or the need for an appointment. Therefore you know what you see is how we keep Highcroft at all times.